Finally breaking their silence, Warner Bros. Interactive Entertainment, DC Entertainment, and Rocksteady Studios have released a photo confirming that Batman: Arkham Knight will now be released on June 2, 2015. Sometimes working to make a better product takes time, and yes, even the people behind the highly acclaimed “Batman Arkham” games “know their limits” and would rather prioritize quality over rushing things and delivering something that fans won’t be satisfied with. Batman: Arkham Knight will now be released on June 2, 2015. Officially announced in the official Facebook page of the game itself, Batman: Arkham Knight has now been given a new release date of June 2, 2015, pushing the product back to almost a year away from the originally scheduled October 14 release date it was supposed to have this year. This is of course due to developer Rocksteady Studios needing more time to work on the game, which is due to be released for the Playstation 4 and Xbox One, as well as Microsoft Windows in PC. In a previous interview feature for the game by Gamespot, Rocksteady’s marketing game manager Guy Perkins previously stated that “if we didn’t give the team more time to do it, then we would be releasing something that we weren’t happy with. We want to make sure we’re absolutely nailing it 100%”. 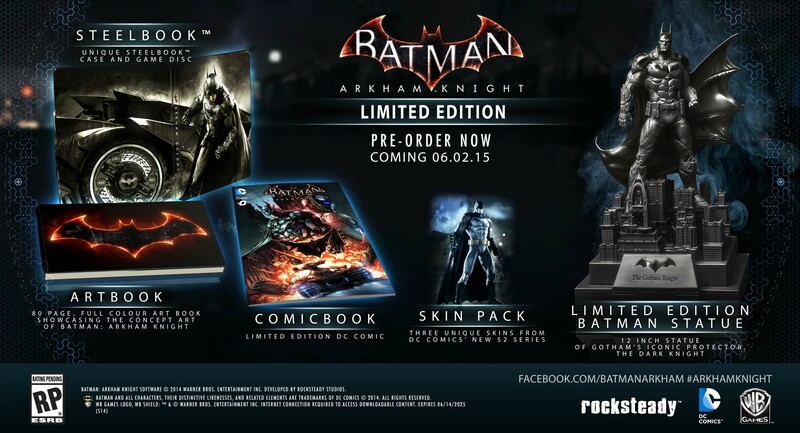 The news of the delay isn’t all there is to things, as Warner Bros. Interactive Entertainment, DC Entertainment, and Rocksteady Studios have also announced that two “Collector’s Edition” packages will become available on release – The Batman: Arkham Knight Limited Edition set and the Batman: Arkham Knight Batmobile Edition set. Batman: Arkham Knight Limited Edition Set. 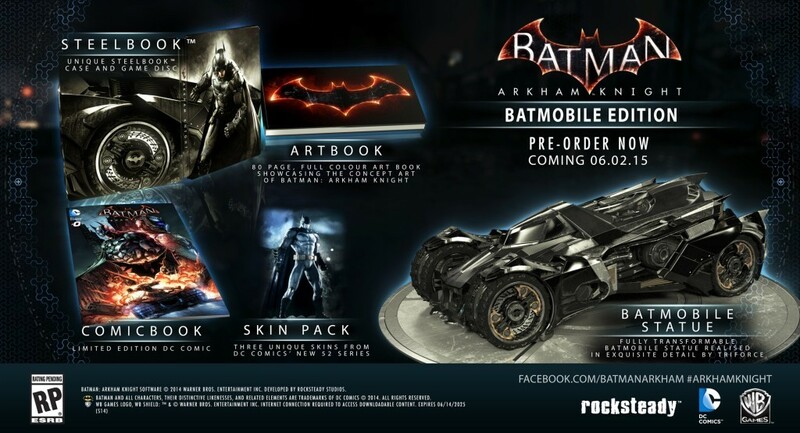 Batman: Arkham Knight Batmobile Edition Set. 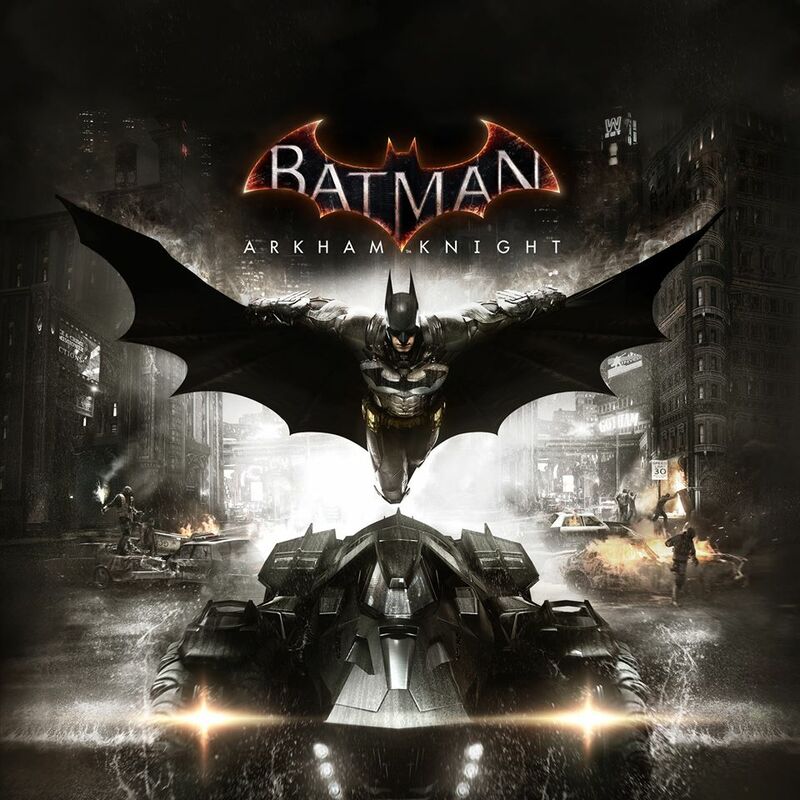 As the third game to be developed by Rocksteady and the first one to be released for next-generation systems, Batman: Arkham Knight marks a big turning point in the franchise, as it features new modes and elements of gameplay in addition to high resolution graphics. Taking place one year after the events of Batman: Arkham City, Gotham is plunged into fear and chaos thanks to the return of Dr. Jonathan Crane, better known as his sinister alter ego The Scarecrow, gathering an army of villains to help terrorize the populace. With the entire city in a state of frenzy, Batman suits up and stands ready to defend the city with his fighting prowess, experience, and the latest version of his Batsuit. The Dark Knight also brings along a new and souped up version of his trademark vehicle The Batmobile, which is equipped with all the necessary firepower necessary to take on all of his enemies. The Caped Crusader will need all the help and advantage he can get, as a mysterious new enemy called the “Arkham Knight” surfaces to challenge and hunt down Batman until he falls and lies defeated permanently. Cover Art to Batman: Arkham Knight. While the delay may be crucial and understandable, it will also split some fans down the middle in terms of waiting for the next Batman game. After Rocksteady took a break from development duties, Warner Bros. Games Montreal was called forth to produce the prequel installment of the Batman Arkham series, which resulted in last year’s Batman: Arkham Origins. While not exceptionally a bad product and delivering much of the same style that made its predecessors famous, Arkham Origins lacked the punch and quality Rocksteady Studios was known for in their Arkham games, and was observed more as a “incremental installment” rather than a true progression of the formula that kept the series fresh and innovative. With Kevin Conroy returning to reprise his iconic role as “The Voice of Batman” once more and the stakes higher than ever, Arkham Knight seeks to deliver on the promise that things will be “Bigger, Better, and Battier” thanks to Rocksteady’s return. The game also marks the FINAL CHAPTER in the “Batman Arkham Trilogy“, which the developer started in 2009 with Batman: Arkham Asylum and continued with 2011’s Batman: Arkham City. One can only hope that this delay bears fruit, and as the old adage goes – “Good Things Come To Those Who Wait”. 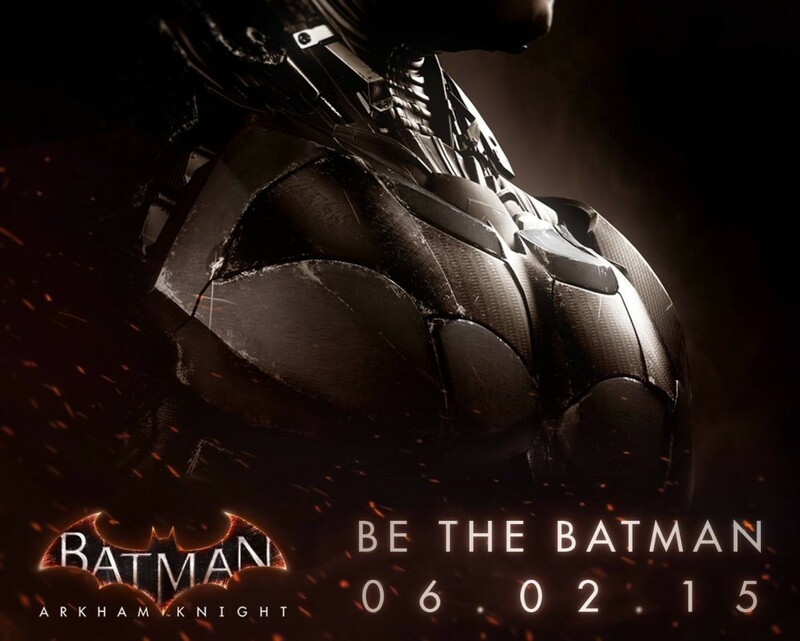 Batman: Arkham Knight will arrive for the Playstation 4, Xbox One, and Microsoft Windows on June 2, 2015.